So I know it's been a hot second since I've posted on the blog! Summer has been a huge distraction, but I'm ready to get back on track. I'm also planning on showing outfit diaries in the near future so look forward to that. But just because it’s hot and sticky, doesn’t mean you need to slack on your jewelry game! Hardware is a fun way to elevate any outfit this season. Whether you like rings, bracelets, necklaces, or piercings, you can always find an occasion to add some bling. 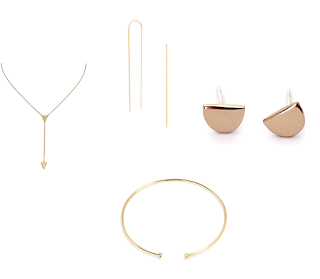 There is nothing more sophisticated and elegant than some minimalist, clean jewelry. More and more these golden treasures have been found on those who know classy. These small detailed ornaments are perfect additions to a simple summer outfit. 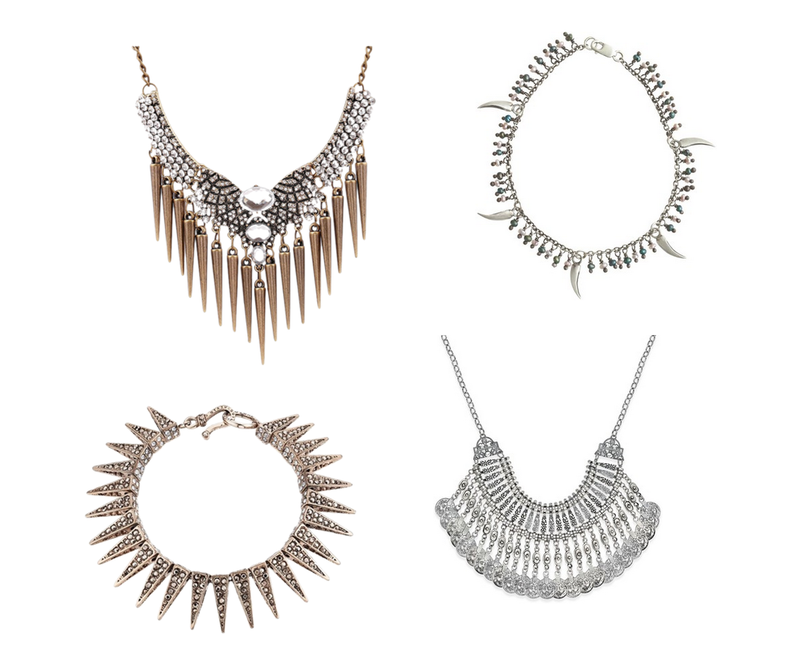 The elaborate silver tribal necklace is another widespread sight, especially seen at this year’s Coachella festival. These wild pieces shine strongly when matched with fabrics like linen or denim. The best part about this style is that they go with outfits for day and night. Perfect transitional pieces! 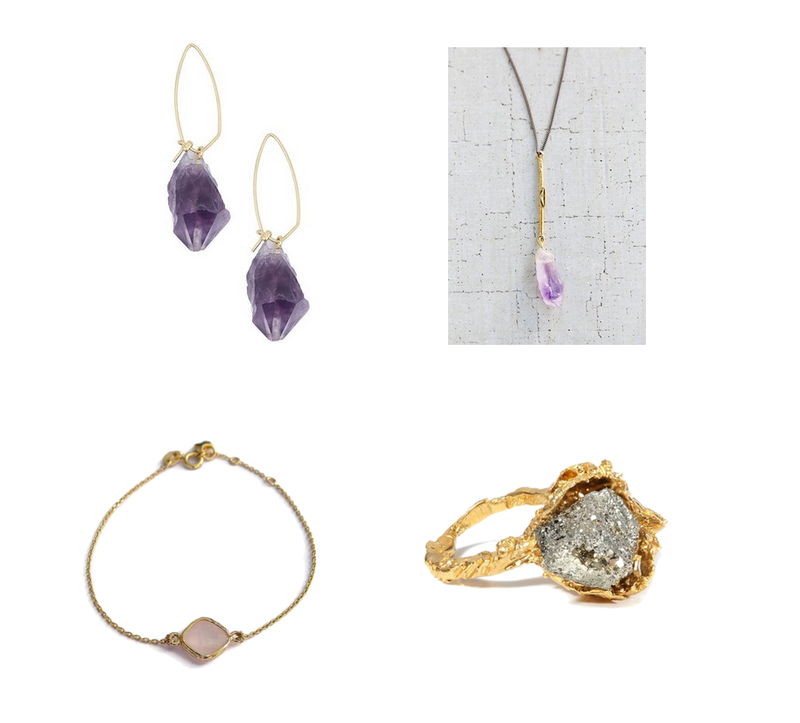 There’s a certain spiritual sensation that comes with wearing stone and crystal. Fortunately, you don’t have to be a psychic to rock this trend. Pair classy earrings with an all white get up or wear a necklace with a simple white tee and boyfriend jeans. Although all these trends vary distinctly, they are all similar in that they are adorable. This season, be that girl who gets creative with style! 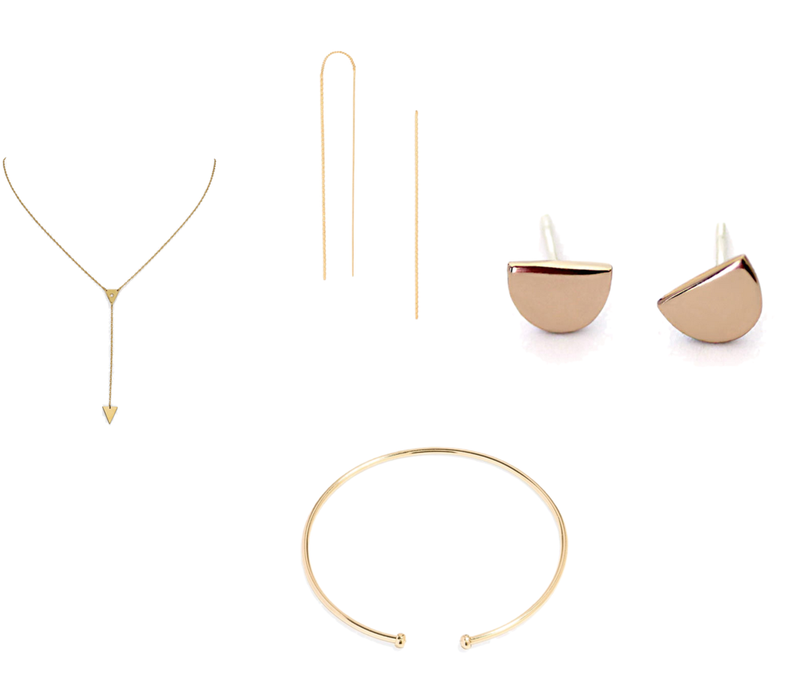 You can even discover your own new jewelry trends this summer. Express yourself… because that’s what fashion is for. All pictures can be found on my Polyvore profile. Love them all! The dainty to warrior to spiritual, there are enough days in summer to dabble in all!